This beautiful, low profile diamond offers 0.60ct of near colourless, sparkling brilliant cut diamonds. 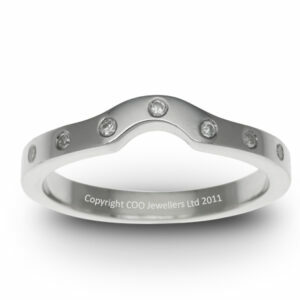 It is available in white, rose and yellow golds as well as both palladium and platinum. 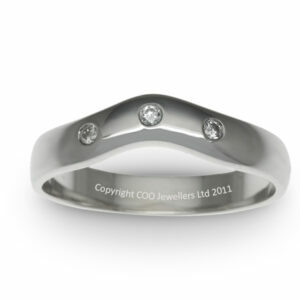 Part of COO’s exclusive ‘Kerrie’ collection, it is a perfect complement to a wide range of engagement rings. Stunning undercut pave setting shows off each and every diamond in a way that other setting styles can not. Like all of our jewellery, the ‘Kerrie’ collection is crafted to your exact finger size in London’s famous jewellery quarter, Hatton Garden. SKU: E1013. 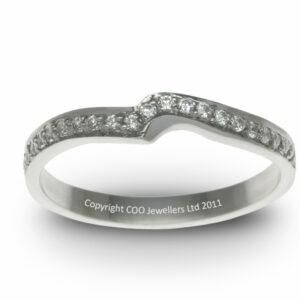 Categories: Classic eternity rings, Diamond set wedding rings, Eternity, Wedding. Tags: Diamond, Eternity, Wedding. 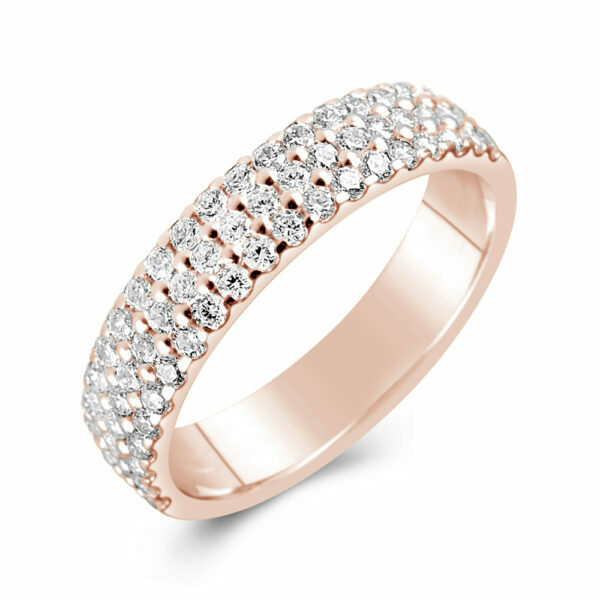 Available from just £1,348 in yellow gold. 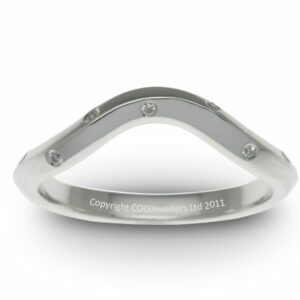 So sorry for the delay but just wanted to say a BIG Thank you for making our wedding rings, they are beautiful and we are very happy with them and cant wait to wear them. Especially mine, im so happy with the design….just perfect! Very friendly service from you all from start to finish. Will def recommend.